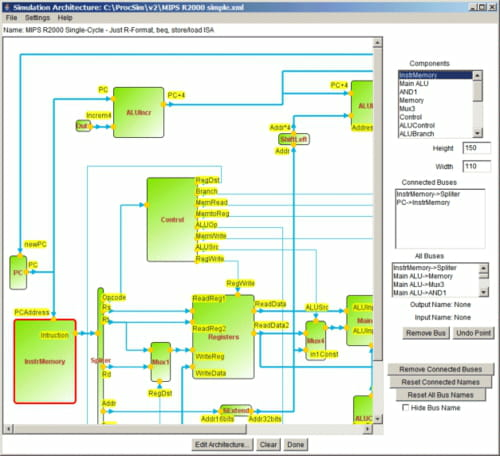 Processor Simulator is a tool that has been designed by James Garton. 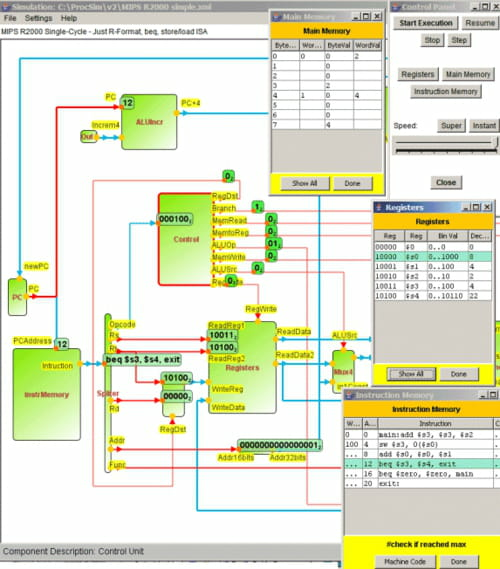 This tool provides the ability to view a simulation of internal circuits. Processor Simulator is a tool that provides the ability to give you an overview of how your processor works. The application gives you the ease to create your own architectures. This tool is highly recommended for University Level Students and also for anyone interested in CPU. The application supports memory reading and writing. You just have to download Java 1.5 to operate. Latest update on November 21, 2016 at 05:27 PM.